The Spirit Of Christmas — A Manager At Alton’s (N.H.) ‘Hannaford Supermarket’. This was neat. 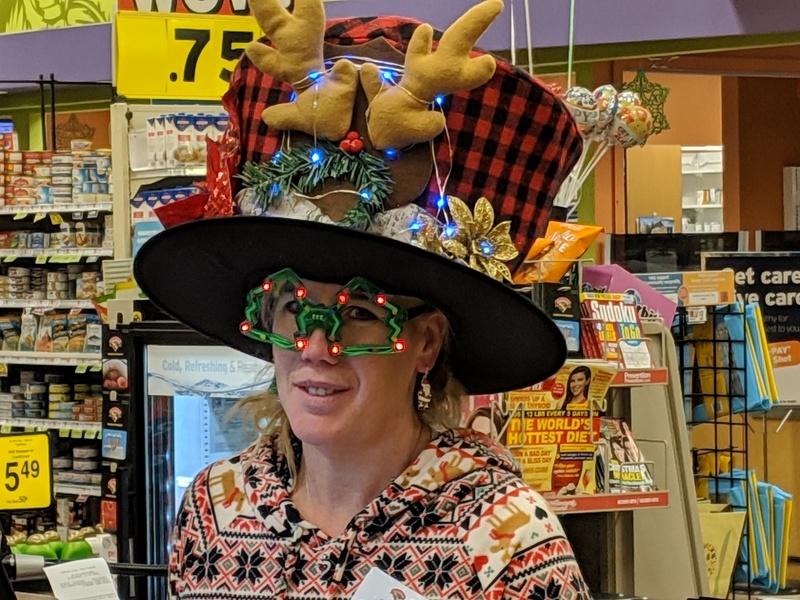 She, though a manager, was working one of the checkout lanes wearing this neat hat. She only put on the glasses when I asked her if I could take a picture. It was good. True Christmas spirit and I am sure the ‘kids’ that work there enjoyed it.